Music classes in the Primary Program include singing, listening, hand percussion instruments, Montessori bells, Kodaly hand signs, and movement activities. The goal is to train the ear and provide basic musical concepts before progressing to the elementary level. 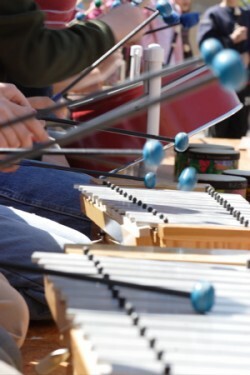 Exposure to different styles of music and sounds of various instruments is part of listening activities. Performances at our winter program, Earth Day, and the year-end celebration develop a sense of community through ensemble experience. Our music director visits each classroom twice weekly. 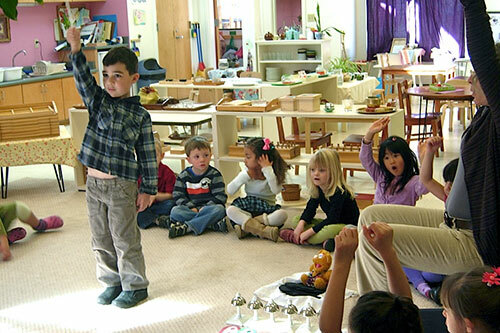 Lessons and activities that include songs and rhythm are integrated daily by classroom teachers. The elementary child is ready to acquire music-reading skills to visualize the organization of sound through rhythm, melody, harmony, dynamics and expression. Continuing the basic concepts developed through ear training in the early years, using music vocabulary, and expanding the child’s awareness of history, style and culture are important aspects at the elementary level. Practical application of the basic concepts through Orff methods includes singing, listening, movement, playing recorders, xylophones and hand percussion instruments. In addition to the winter program, Earth Day, and year-end celebration, an annual Variety Show provides the individual child with a platform for self-expression. The overall goal is to prepare our students for further music study if they so choose, by giving them positive experiences during their time at our school. 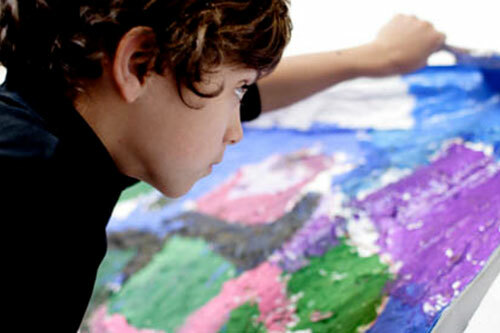 Students in the Escuela Elementary Art Program engage in imaginative, creative experiences ranging from art making to visiting galleries; from studying artists to participating in gallery exhibitions and creating public artworks; from integrated Science, Technology, Engineering, Art & Math work to curating their own student art shows. Young artists work individually and collaboratively, exploring various media as they express their understanding of the world around them and their individual imaginations. Students have the opportunity to mentor younger peers, work with experts on special projects, participate in creative partnerships with local high school student artists, and participate in relevant creative goings out.